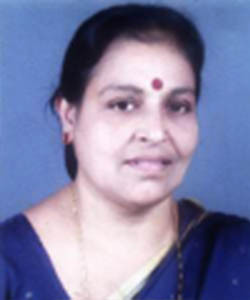 Dubbing artist Anandavally C R, who lent her voice to many actresses in the Malayalam film industry, passed away at a private hospital on Friday following prolonged illness. She was 64. Anandavally began her film career by doing small roles in Malayalam films such as 'Kadu'. From lending her voice to actress Rajasri in the film 'Devi Kanyakumari' to dubbing for Poornima Jayaram for the film 'Manjil Virinja Pookkal', Anandavally made a remarkable presence in the film industry as a dubbing artist. This was a turning point in her career where she was flooded with opportunities. She also lent her voice to many other leading heroines in the film industry such as Geetha, Madhavi, Menaka, Ambika and Gauthami. She won the Kerala state award for the film 'Aadhaaram' in 1992 for giving voice to actress Geetha. She also dubbed for Sumalatha in the movie 'Thoovanathumbikal.' She had also worked as an announcer in All India Radio. Hailing from Kollam, she has a daughter, Anu Lakshmi. 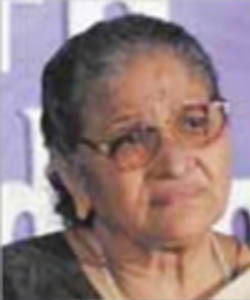 Her son Diphan, director of the film 'Puthiya Mugham', died two years ago. Chief Minister Pinarayi Vijayan expressed grief over her death and said that as a dubbing artist she had made a place for herself in the Malayalam film industry by modulating her voice according to the characters. കോട്ടയം: എഴുത്തുകാരനും കലാ-സാംസാകാരിക സാമൂഹ്യരംഗത്തും ശ്രദ്ധേയനായ ജോയ് ചെമ്മാച്ചേല്‍ (ജോയി ലൂക്കോസ്55) അന്തരിച്ചു. ചിക്കാഗോ ക്‌നാനായ കാത്തലിക് സൊസൈറ്റിയുടെ പ്രസിഡന്റും കെസിസിഎന്‍എയുടെ എക്‌സിക്യൂട്ടീവ് വൈസ് പ്രസിഡന്റും ആയിരുന്നു. ഫൊക്കാന വൈസ് പ്രസിഡന്റായിരുന്നു ജോയ്. സിഎംഎസ് കോളജില്‍ മാഗസിന്‍ എഡിറ്ററായിരുന്നു ജോയി ചെമ്മാച്ചേല്‍. കൂടാതെ ഇല്ലിനോയി മലയാളീ അസോസിയേഷന്റെ സ്ഥാപക പ്രസിഡന്റായും രണ്ടു തവണ പ്രസിഡന്റ് ആയി പ്രവര്‍ത്തിച്ചു.കഴിഞ്ഞ ഫോമാ സമ്മേളനത്തില്‍ മികച്ച കര്‍ഷകനുള്ള അവാര്‍ഡ് നേടി. നീണ്ടൂര്‍ പരേതരായ ലൂക്കോസ് അല്ലി ടീച്ചര്‍ ദമ്പതികളുടെ മകനാണ്. ഭാര്യ ഷൈല കിടങ്ങൂര്‍ തെക്കനാട്ട് കുടുംബാംഗമാണ്. ലൂക്കസ്, ജിയോ, അല്ലി, മെറി എന്നിവര്‍ മക്കളാണ്. Malayalam actor Captain Raju died on Monday morning 17/09/2018. 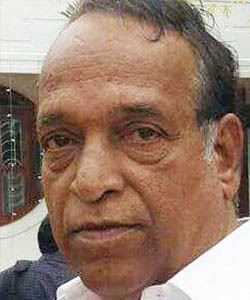 The 68-year-old actor passed away at his residence in Kochi, Kerala. A few months ago, the actor had suffered a stroke during a flight to America. After being informed of his condition, the flight was diverted and ended up landing in Oman, Muscat. Following his family's request, the actor was then shifted from Muscat to Kochi for further treatment. His condition had been declared stable at the time. Captain Raju quit the Indian army and began his acting career in 1981. He was a part of over 500 films and had dabbled in television as well. One of his best performances was in Malayalam superstar Mohanlal's Nadodikkattu. He was last seen in 2017's Masterpiece. He is survived by his wife Prameela and son Ravi. 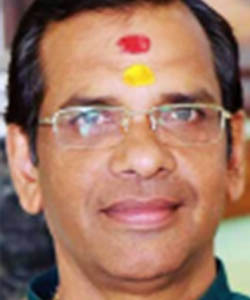 Malayalam actor Kalasala Babu passed away on the night of 13 May in Ernakulam. He was 68. Babu was suffering from heart ailments and had been undergoing for several months. 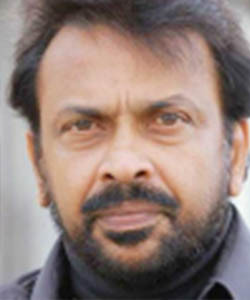 After being admitted at Amritha Hospital in Kochi, the actor passed away. Ottanthulal artist Kalamandalam Geethanandan (58) collapsed and died during a performance at Avittathur Mahavishnu Temple in Irinjalakuda near here at 8 pm on Sunday.He was given first aid and taken to a hospital, but could not be saved. 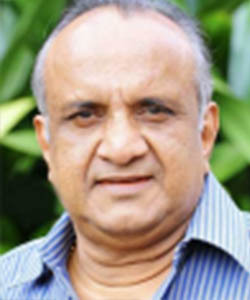 The famous cinema and theatre artist ThodupuzhaVasanthy (65) is no more. Being under treatment for cancer, she took her last breath at her house in Thodupuzha. She has acted in over 450 movies in Malayalam.